The show started at about 9:25 p.m local time. I don’t want to overuse the superlatives but with the exception of Matt Sydal vs. John Hennigan (Mundo), every match was either really good, to great, to fantastic. And Sydal vs. Hennigan was a good match as well. There was a weird sense of disappointment because the losers don’t advance. The crowd for the most part wanted both guys to win in almost every match. - Marty Scurll defeated Pentagon Jr. by reversing out of the package piledriver into a chicken wing via submission. The bottom rope broke during this match but it didn’t play a part in anything. It did slow the show down because it took a while to fix it. Very good. - Ricochet defeated Jeff Cobb in a fantastic match. Both brought out the best in each other with flying vs. power. The difference in Cobb from even a few months ago is very noticeable. Ricochet won with the Tour of the Islands into an inside cradle. - John Hennigan defeated Matt Sydal with a standing shooting star press and the End of the World. 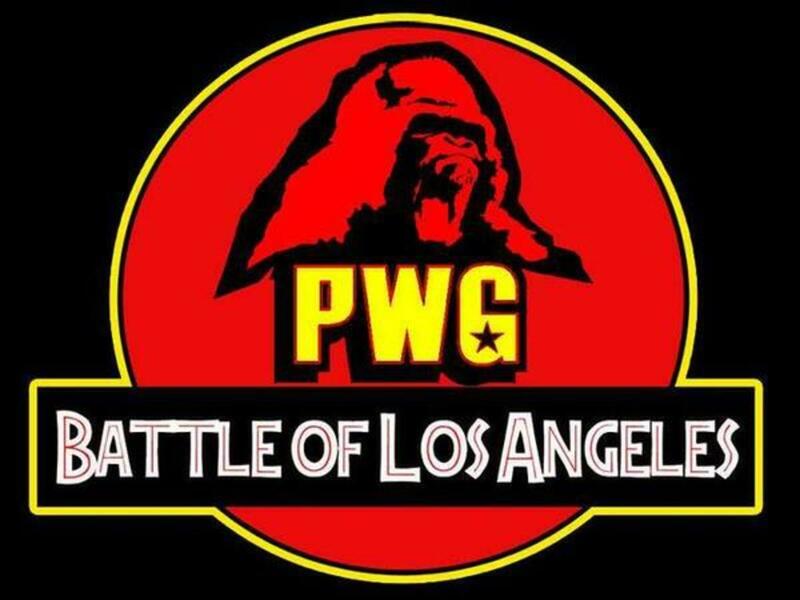 Hennigan was one of the guys who really badly wanted to work PWG. - Will Ospreay defeated Fenix with the spinning kick and Oscutter. Fantastic match with things probably never done before inside a pro wrestling ring. Ospreay did his space flying tiger drop and Fenix did a crazy spinning dive. The highlight was a Spanish fly off the top rope where both landed on their feet. Pretty much everyone was blown away by this match. - Zack Sabre Jr. defeated Tommy End with the octopus submission. Excellent match. Very different from most Sabre matches as it was more a fight than technical wrestling. Lots of “Thank you Tommy" chants since everyone knows he’s leaving for WWE and this was his last PWG show. - Chris Hero defeated Jushin Liger with a series of spinning elbows. Also very good, excellent by the end. They played up the size difference. Liger was the most over wrestler by far on the show and Hero had to play heel because there was no other way. This was the best Liger singles match I can recall in a long time. Perfect timing. The Boys ended up being Bobby Fish & Kyle O'Reilly. For about 15 minutes, they played like they were The Boys, hitting like wimps and just getting beaten up with Castle doing the offense. Then they took off their Boys’ masks and made comebacks, although Fish lost the mask several times before that spot. It was largely comedy but very good. The crowd was very into it. The finish saw a double Meltzer Driver on Fish & Castle and Matt pinned Fish.